I will, forever more, think of Ming whenever I make or eat wonton soup. What a gift. I certainly hope we will enjoy many more culinary adventures together, but for now, this was a deliciously unconditional labour of love bundled in little pillows of joy! There's nothing quite like a hot bowl of soup to keep you warm this winter. 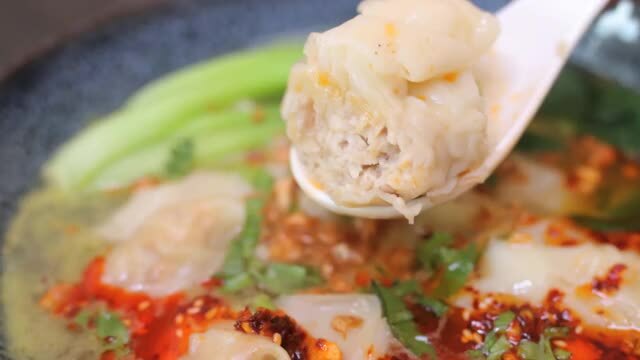 To Make The Wontons: In a bowl combine all the filling ingredients. Open the wonton wrappers and keep them under a dampened cloth. Scoop out 1 tablespoon of soup and pour in to a soup bowl. Pick out the boiled wontons with a table spoon or a colander and add to the bowl. Pick out the boiled wontons with a table spoon or a colander and add to the bowl.